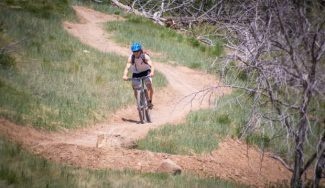 Early summer is an exciting time in the Roaring Fork Valley. The skis are finally hung up, and the fly rod seems like the perfect way to get out in the sunshine. The weather is warm, and rarely do we see the monsoonal thunderstorms often experienced in July, August and September. Summer has not quite sprung up yet, and our freestone rivers are just beginning to swell with snow melt. 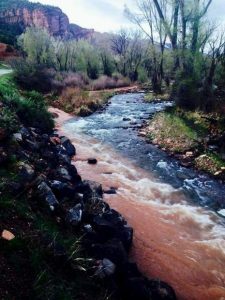 Cold, clean runoff pushes last year’s river sediment on its journey to Utah, and the float guides start betting on which day in June that the first commercial float trip will go out of Taylor Creek. 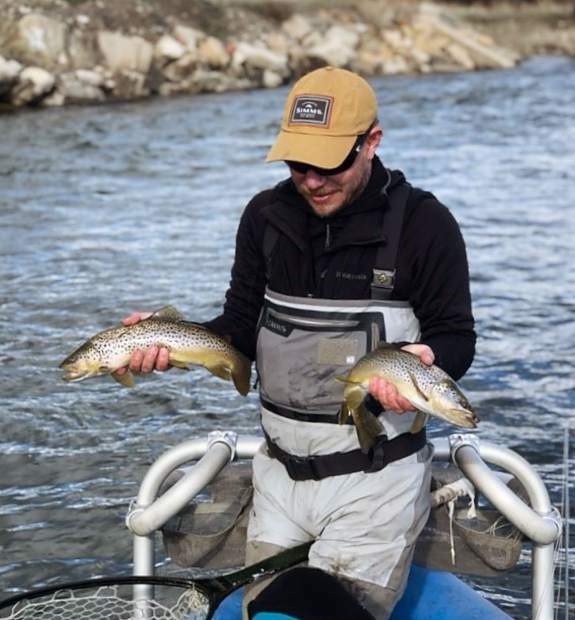 Everybody gets the itch to trout fish around here and, sometimes, that itch to fish can clash with high water on the Roaring Fork and Colorado rivers. It’s traditionally rafting season, and rubber boats are covering the water like some sort of mutant mayfly hatch of “Splash N’ Giggles” (what fishing guides call tourist whitewater rafters). But don’t be fooled, as our largest hatches of mayflies very well might be mixed in with the rafters. It might well even be prime time depending on what happens weather-wise between March and May. As a kid, I fished Jaffe Park on the Roaring Fork near Aspen all spring long, right on through the high water. 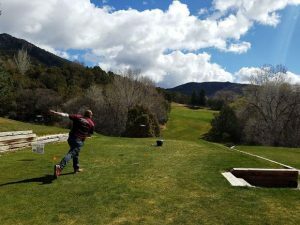 In the canyon below Aspen, there are great many fishing opportunities during runoff along the riverbanks and in any slow and soft water that you come across. Wandering along the banks making short, high-stick drifts can yield fantastic fishing. The fish are all pushed into any slow water pockets of water, and a 2-times tippet tied to a heavy stonefly can be about all you need for a good day of fishing. In fact, I would venture to say that the most fish I have ever hooked in one day on that stretch was with a client during high water as we waved to rafters who all seemed amazed that we were even fishing. The lower Roaring Fork has its days in May and June where trout fishing can be excellent, depending on our snowpack. Two summers ago, we had a low water year and June offered up the best month of float fishing that we had all summer long. Our hatches of green drakes and PMDs decided to make an early appearance that year with the lower and warmer water. I was in my drift boat every day after June 15, whereas on an average water year, we generally can’t float till early July! The float fishing at this time of year is completely dependent on snowpack and warm weather. If we have a warmer-than-usual spring, the water sheds off the mountains quicker, and we might even be floating by early June. Similarly, if we have a shallow snow pack (around 80 percent of average) the peak flow might come in early June as well. In such cases, late June can be “go-go” time for the drake and caddis hatches. When these bugs are out, it tends to be a great time to sling a big, furry dry fly out of a drift boat. The Fryingpan is a year-round tailwater river where water temperatures stay at a constant 40 degrees. We are incredibly lucky to have this clear water gem in our own backyard. It provides fishing guides with options for any occasion, under any conditions. Even when the Fryingpan flows at 1,000 cfs, there is still a place to fling mysis shrimp at each other on the Flats where a communal line of anglers fling bobbers at one another. As majestic as it sounds, there are still opportunities to catch a big fish or two. May and June can yield great fishing with large, size 18 midges as well as blue wing olives and a smattering of other bugs; certainly enough action to keep the fish and fisherman interested. A few websites to watch for predictions on how the summer might unfold include: The Snotel data site which comes from the Department of Agriculture and NRCS (www.wcc.nrcs.usda.gov). This site will tell you on average how much snow is in the mountains. Snow is measured by several different sensors placed all over the river drainages in Colorado. It is my favorite site to predict what kind of spring we will have. The other site is: http://www.roaringfork.org/sitepages/pid427.php from the Roaring Fork Conservancy. This gives you stream gages and the ability to see historical year-to-year data on runoff; helpful info for planning a trip. Remember, contact your guide about when he or she thinks the Colorado or Roaring Fork rivers will be fishable. 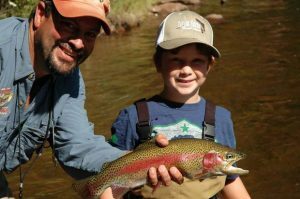 Keeping in direct contact with your fishing guide in the Roaring Fork Valley will give you the best insight as to when high water will turn into fishable water.